IPKO Foundation is delighted to announce that the recent day-long activity regarding “A Violence Free Future” in Prizren has resulted in an utmost success. Over a hundred participants had the chance to be a part of interesting discussions on extremism, and engage in innovative workshops and games. 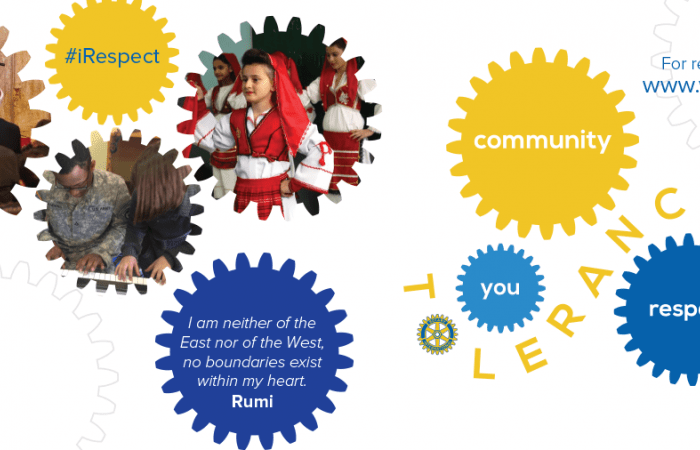 A Violence Free Future aims to instill a positive mindset by providing discussions on tolerance and its role within the Kosovo community. The project provides youth and leaders with diverse tools to both promote understanding between ethnic and gender groups as well as to counter the radicalization which is slowly taking root in the country. This project has come to life as a result of the cooperation between the U.S. Embassy, Rotary International, IPKO Foundation, and other local NGOs. Six other workshops have been planned for the cities of Mitrovica, Peja, Kaçanik, Hani i Elezit, Ferizaj, Gjilan, in addition to the workshop that has already been held in Prizren. IPKO Foundation would like to encourage all those interested in participating in these workshops in the aforementioned municipalities to register for one of the workshops being held. In addition to the workshops, teaching tools and videos will be made available, both before and after the programs. Please follow the timeline of the workshops here and apply before the day of each workshop. Together, towards a tolerant society!